Drs. Rose and Nusbaum offer a general overview of PRP and its application to hair restoration and hair transplant surgery. The first was the efficacy of PRP- which they accurately stated as “inconsistent at times”. 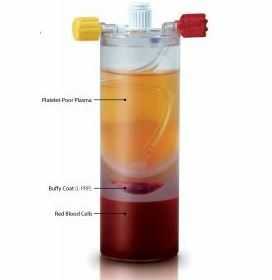 Rose and Nusbaum drew blood from 4-5 patients to prepare concentrated platelet samples using three commercially available PRP kits and one standard yellow top collection tube (as a control no doubt). 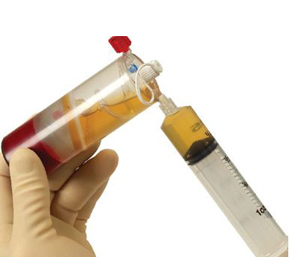 Their results showed that simply spinning blood in a standard yellow top tube produced greater concentration than one of the three much more expensive commercial PRP kits studied. The second kit produced 3 times that of a simple yellow tube, and the third produced 6 times that of a simple yellow tube. Predictably, the amount of concentration in the two latter kits correlated directly with the amount of blood drawn. But did the differences in concentrations actually make a clinical difference ? The authors did not offer any data as it was beyond the scope of their experiment but did offer anecdotally that in their clinic they have noticed “ increasing success with PRP treatment for androgenetic alopecia”. They then go on to honorably state that their experiment likely does not represent enough sample size to come to any firm conclusions and that there are more than a few variables that could not be accounted for. Rose and Nusbaum did hair transplant physicians and their patients a great service by performing this PRP study and experiment. Clearly not all PRP preparation kits are the same; and more PRP and greater concentration doesn’t necessarily mean better results or even good results. In the end, nobody really knows if PRP is significantly and consistently effective in treating individual patients suffering from hair loss. At best there are a few doctors who “report”, anecdotally, some success using various PRP preparations for hair loss, but no solid or consistent data. Considering PRP has been used to treat hair loss for at least ten years this lack of supportable data indicates to me that it is largely ineffective. And while experiments on volunteers should continue, it’s offering to the public as a realistically useful clinical treatment should be discontinued in our opinion. The first is as the authors stated in their paper: as a treatment for androgenetic hair loss. The second is during hair transplant procedures. I have performed over 100 of the former and found any positive “results” could be explained by a simple lengthening of the hair or change in hair style. False benefits may also be explained by the fact that I saw a few of these patients during follow up during a different season of the year from when we performed the PRP on them- which means they may have had fewer hairs in telogen during follow up just as a matter of natural course making their hair only appear to be a bit thicker or richer. A concern I have with the use of PRP, especially multiple treatments, is that it has the potential to severely fibrose the treated areas which, ironically, can lead to increased and accelerated hair loss. Since every doctors oath is to “do no harm”, I stopped performing PRP years ago and strongly advise my colleagues to do the same. The second use for PRP, during hair transplant procedures: To my mind the use of PRP during hair restoration surgery is actually contraindicated. First and foremost the healing and growth rate of hair follicles after FUT transplant are well into the 90% range without any physiological “help”. Secondly, the presence of concentrated platelets will likely increase fibrosis in the recipient area which after being “stabbed” thousands of times for creation of recipient sites is likely not a good idea. Finally, is it really wise to remove any volume of blood needlessly considering how much blood loss can occur during even the average hair transplant, much less one riddled with complications ? I dare see that most clinics using PRP during HT procedures do not get a CBC or SMA prior to surgery. Finally I want to reiterate what the authors mentioned in their article: DO NOT USE YELLOW TOP BLOOD COLLECTION TUBES AND STANDARD CENTRIFUGE AS A “POOR MAN’S PRP KIT”! THOSE TUBES ARE DESIGNED FOR IN-VITRO TESTING NOT IN VIVO USE !!!! THESE TUBES MAY CONTAIN SUBSTANCES THAT WERE NOT MEANT TO BE INJECTED INTO THE BODY. ACCORDING TO ROSE AND NUSBAUM THE FDA HAS INDICATED SUCH USE IS ILLEGAL. Dr. Paul Rose HTW Profile. Dr. Aron Nusbaum HTW Profile. Dr. Rose and Dr. Nusbaum’s Website.